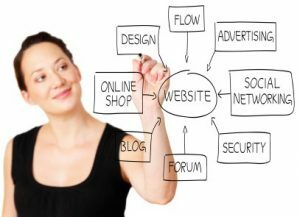 Personally, I don't see how a business nowadays can stay in business without a website to promote their products, services and solutions. Many publish their websites and then walk away from them expecting the traffic to come. After a few months they end up giving up while other companies see great success from their websites and are able to generate leads, make sales and use their Internet presence productively for success. San Diego Web and Content Management Service is independently owned and operated by Kip Ives with over 16 years of web design and marketing experience. If you are looking for clean and professional design with personal attention (without corporate restrains) and to help market online, please contact me today and request a free quote. Search Engine Optimization (SEO), Search Engine Marketing (SEM) and now Social Media Marketing (SMM) is a strategy that Internet marketing gurus use to get websites better SERPs (Search Engine Results Page) and to build a strong showing with linking on other websites. The core of SEO/M boils down to Content Development and Management that is interfaced with keywords and links that one uses on a website. These must be relevant to ones product and/or service in order to help drive traffic to a website to make sales and/or inquires. Web/SEO Consultation - Meet with client to discuss the websites goals and strategy, this would include but not limited to, analyzing the competition and report on their flaws, make recommendations to current website design, develop both common and niche marketing strategies, and inbound link campaigns. We can also help develope business plans. 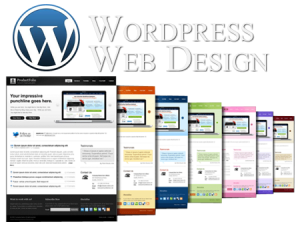 Web Design and WordPress - If you are looking for a new websites or rebuilding an existing, I have an array of artists and developers who can help make a difference by bringing creativity back to website design and development. 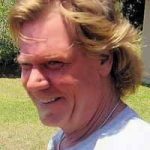 I specialize in small businesses, WordPress CMS, and have built over 100 websites. SEO/SEM - Total optimization of website (e.g. meta tags, content tweaking, alt tags, site maps etc) to influence search engines positioning. Develop content-rich text to penetrate awareness of your target audience and to search engines. SMM - Develop a social media optimization and marketing plan for blogs, articles, press reports, and social networks like Facebook, Twitter, Linkedin and youtube. PPC - Develop an effective fixed Paid Marketing on places like Google Adwords and Facebook that targets prime, 2nd and 3rd tier keywords and phrases. 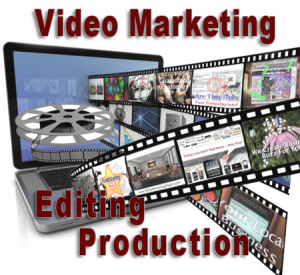 MEDIA - Video Marketing is a excellent way to help ones business. I'm not a Steven Spielberg, but I can help edit short video clips of ones product and/or service and then optimize them for SERPs in places like youTube. Even if my main location is in San Diego, I have design/manage/market one of the largest websites in Costa Rica and small and medium size websites all over the US and world. 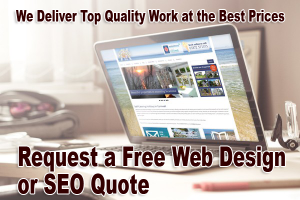 Please email me if you are interested in Web Design and/or SEO/SEM services. I will get back within a day, if not within a few hours ... take care and best wishes.